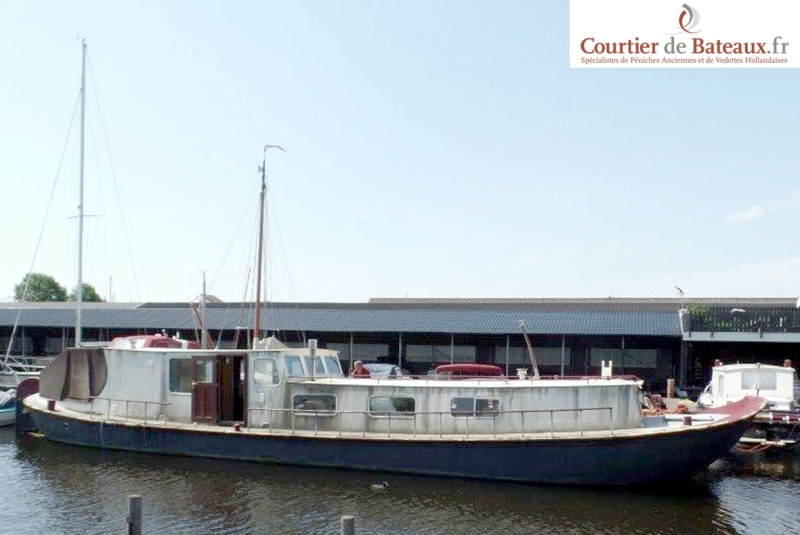 brokers vision : Former inland cargo vessel that has been converted into a sailing Live Aboard barge. Due to circumstances, maintenance has not been done in recent years. Equipped with a spacious cabin, salon with U-shaped open galley, wheelhouse with side doors and a bathroom. Further backwards a door to the open cockpit. The engine is present but its working is not guaranteed. In other words, this boat is looking for a handyman to bring her back in shape. The underwater ship was largely overplated in 2010. Additional information: Underwatership is almost fully double plated. Hull shape is suitable for drying out.